A Fine Tune - Price List for piano tuning & repairs. Contact Hamilton Piano Co. for an updated price list. ALL PIANO WORK - TUNING, PITCH RAISES, REPAIRS, REGULATION, CLEANING, ETC. - IS CHARGED AT $98 PER HOUR, WITH A MINIMUM CHARGE OF $82. An extra mileage charge of $2.50 per mile, one way, applies to trips over 20 miles. This amount will be reduced proportionally when there are several pianos being serviced in the same area. Most of my customers who have their piano tuned at the recommended interval (which varies from one piano to the next) should expect the tuning to take between 50 and 70 minutes. The average time is 57 minutes. When I work on a piano for the first time, the job may take up to 1.5 hours as most of such pianos have been neglected for a while, causing the piano to need more work than if it had been serviced regularly. Many such pianos also need repairs in addition to the tuning. Sometimes additional work must be scheduled for a future date. The average time for such pianos without repairs is 1.3 hours. The average time for such pianos with repairs is 1.7 hours. Here are some time estimates for additional work. REPLACEMENT STRINGS - Treble, plain wire stings generally cost between $1 and $4 each. Smaller copper wound strings generally cost about $17 each. Large bass strings, double copper wound (special order) start at about $38 each. Installation time is about 20 minutes to 40 minutes per tuning pin. HUMIDITY CONTROL SYSTEMS - Pianos in south Florida which are in a stable air-conditioned environment, generally do not need any humidity control devices. Pianos which are in environments in which the air conditioning is turned off and on, such as some churches and schools, would benefit from a complete humidity control system. Please discuss this with me. 100% WOOL STRING COVERS FOR GRANDS - These beautiful, 100% wool covers completely cover the inside of the grand piano, protecting the strings from unsightly dust and debris which may fall inside and interfere with the operation of the action. They also help protect the strings and tuning pins from rust. They are available in a variety of colors and decorative stitching. Prices start at $329 plus tax. ACCESSORY ITEMS - Piano covers, 70% wool string covers, piano polish, lamb's wool polishing mitts, benches, bench pads, metronomes, caster cups, floor protectors, and other accessories are also available. Please ask! 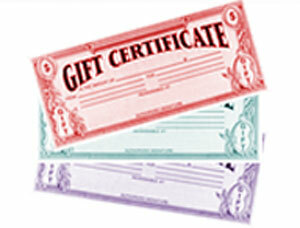 CONSIDER GIVING A GIFT CERTIFICATE FOR PIANO TUNING & REPAIRS. Call (561) 432-4121 today for an appointment!